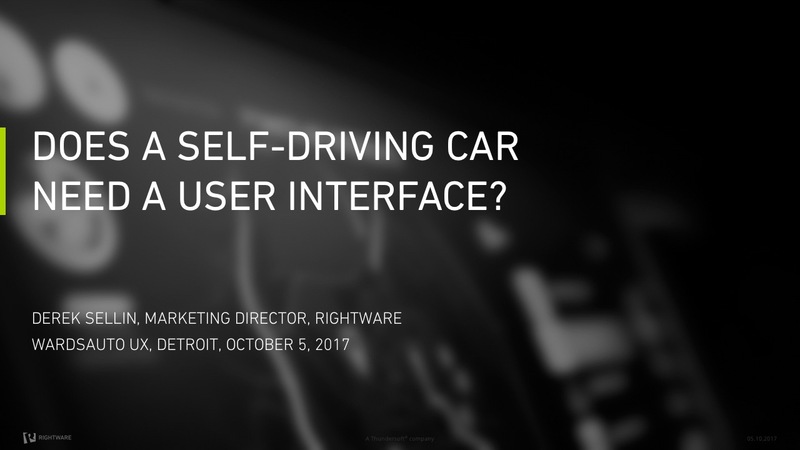 Rightware had the pleasure of moderating a panel discussion on new technologies for the future automotive user experience. Some common themes emerged, from safety, to personalization, to aesthetics. Advancements in HMI surfaces, glass, and displays will help keep hands on the wheel and eyes on the road, avoiding driver distraction. Customizability will engender brand loyalty. And all elements of a car will have to be beautiful, so it’s not “a car only a mother could love.” The conversation led to challenging questions about operating system battles and brand loyalty. 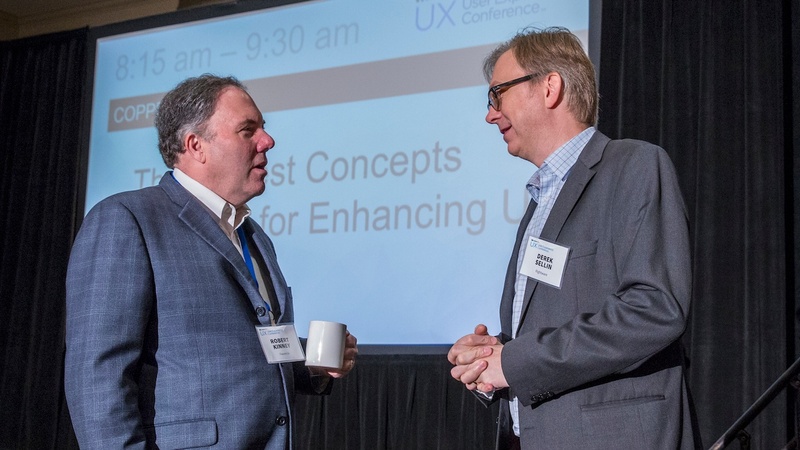 In our opening remarks, we posed the question: is a user interface even needed in a driverless car? Our answer is an absolute yes. During the lengthy transition to full acceptance of autonomous cars, drivers will need to gain trust in the car’s intent. By letting drivers “see what the car sees” with rich visualization of sensor data, and by providing customizable user interfaces to show the most relevant data to the driver, we can increase confidence and accelerate the transition. It was noted that the ability to personalize is viewed as highly important by consumers, yet only 5% of PC users actually change default settings. At Rightware, we believe the ability to personalize the user interface will become ever more important, although the decision on how much customization to allow should be up to the manufacturers. Taking configurability to the extreme with third-party apps and services raised the question on the panel: who will own the operating system? An extension of this question is: how can we as an industry ensure that auto manufacturers do not suffer the same loss of brand value and identity suffered by PC and handset vendors when the OS became the most important purchasing criterion? On this topic, there is no clear answer. Some OEMs will opt out of the software platform battle, whereas others will attempt to retain vertical integration and a premium branded experience. Finally, we closed the panel discussion with the question, “If cars eventually drive themselves, will we lose all the fun in driving?” The panel largely felt that joy is subjective, and automobile manufacturers have a very good sense for what their customers want. The market will remain highly segmented, allowing everyone to find their own joy in driving! Read WardsAuto press coverage of the panel here: http://wardsauto.com/technology/don-t-count-smartphones-car-ux-panelist-says. Read more about Rightware at www.rightware.com/blog, on Twitter at @RightwareLtd, and on LinkedIn and Facebook.